Green tea is considered one of the healthiest drink in the world. It has been consumed and hailed on daily basis by the people to overcome the problems related to their health. So in this article, I am going to provide unlimited health benefits of green tea and how it is going to help you to bring a change in your lifestyle. Green tea comes from the leaves of a plant called camellia sinensis. Asians have used this tea thousand of years for overall well-being. A Chinese proverb says “Better to be developed of food for three days, than tea for one“, green tea is the crown jewel. It is rich in powerful antioxidants called Catechin Olyphenosis. Researchers have proved that Catechins are more powerful than vitamin C and E. Scientists discovered huge vital benefits of drinking tea due to this plant antioxidant. That’s why we see green tea is widely used in many consumer products. 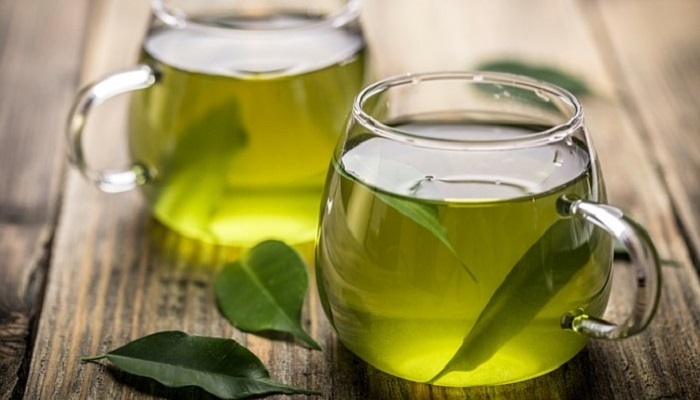 Green tea promotes heart health, helps in weight loss, removes toxins from your body, promote younger skin, boost your immune system, lower bad cholesterol, protects liver kidney and lung functions and many more. It protects heart arteries by keeping them flexible and relaxed. Evidence shows that drinking 2-3 cups of green tea a day reduces the risk of developing heart diseases. It has a significant impact on your blood cholesterol levels. When sugar and fat enter your body, they synthesized into an essential substance called triglyceride. Green tea counters the threat of excess triglyceride because it has a high amount of polyphenols. That’s why we see many weight loss products contain green tea. Drinking a few cups of tea detoxes your body so you can stay active and healthy. It helps reduce skin inflammation & redness and also protects and rejuvenates skin cells. This is the reason that many cosmetic & skin care products contain green tea. It slows down skin aging. Antioxidants boost the strength of the body’s immune system helping it fight against free radicals in the body, which lead to diseases. It also protects the body from all types of cancer especially lung cancer. so there are unlimited benefits of green tea. Now the question arises what kind of green tea to get? The easiest way is to buy them in tea bags from the supermarket. Better yet, if you can find loose green tea in jars, that would be fantastic. Loose green tea leaves have gone through least processing and retain most benefits. Now you must be thinking how much tea to drink? If you are fit & healthy, 1-2 cups daily are enough. If you want to address some health concern or weight loss, increase to 3-4 cups daily. It works quickly; you can feel the difference in your body in just one month. so from today onward start consuming it and live healthier and happier life.